First impressions count and your office can say loads about you. All our units are creatively designed by our team of architects and thoughtfully finished to a high spec by our designers. Above all, we don’t compromise on quality. Our finishes include natural wood and frosted glass screens. Wherever possible we allow natural light to flood in and inspire you. You’ll find our flexible London office space at strategic locations in and around the capital with great accessibility to the road or tube network. Our space is ideal for growing companies and the exact layout of each building is often left to the tenant. 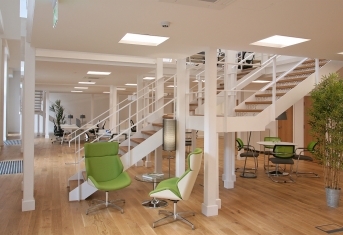 As a result, our offices can be adapted for type of use and to optimise value. We typically have space available from around 500 sq ft to 15,000 sq ft with flexible lease terms. Our service charge includes either security staff or 24 hr monitored CCTV cameras and on-site facilities management. Broadway Studios also offers a welcoming, fully staffed reception during office hours. 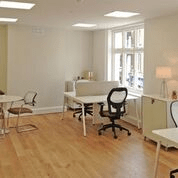 Here’s our current list of London Office Space to rent. If you can’t see anything in the area you’re looking for, just call us. 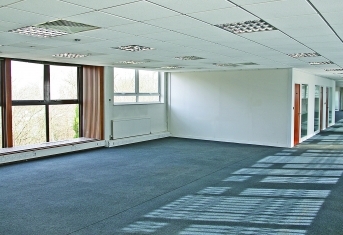 Formerly the Head Quarters of Enterprise Rent-a-Car, Phoenix Studios provides a unique opportunity for you to tailor to your specific business needs, in an excellent London location for accessibility to the UK’s major transport network.